It is a very common trend in western countries and other developed countries worldwide to offer discounts, sales and free gifts on special occasions by retailers, stores, markets and online stores too. Attractive offers are announced by these retailers on New Year, Xmas, Black Friday, Halloween and Thanksgiving Day in west. Domain name registration and Website Hosting Companies also offer huge discounts on events like New Year. Recently, in India almost all mega online stores including Amazon, eBay and Flipkart announced unbelievable discounts on a lot of products on the event of Diwali. Pakistani retailers also offers discounts on different events occasionally on Eids, Happy New Year. Dress and Shoes brands offer Summer and Winter Sale. Servis Shoes, Bata Shoes and various ready to wear dress brands offer up to 70% discounts at the end of each season. Pakistani Online Stores also offers discounts on various items and daily and weekly deals. Metro Cash and Carry and also offers discount rates and announced via newspapers. 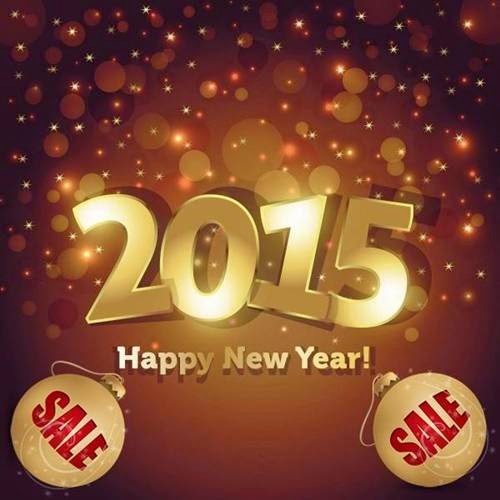 Let see which retailers offers discounts on New Year - 2015. If you come to know any discount offer, sale offer in Pakistan, please let our readers know by sharing it in comments.